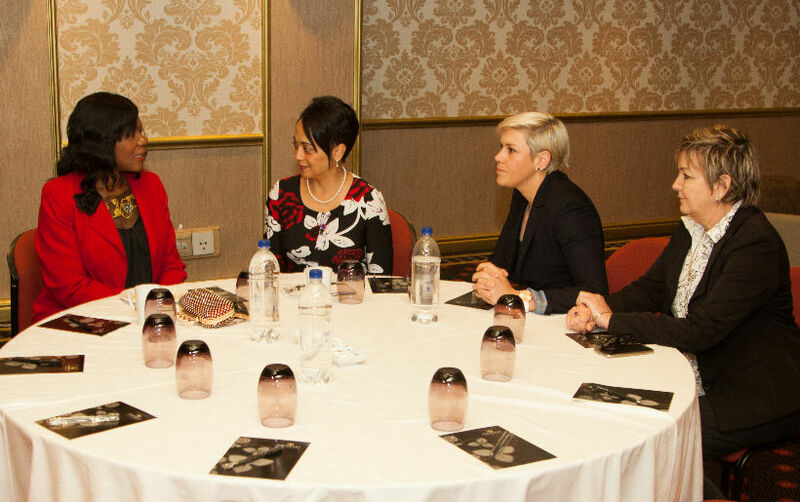 Have you ever wanted to rub shoulders with some of SA's best ladies in business, media and philanthropy? This is your chance! 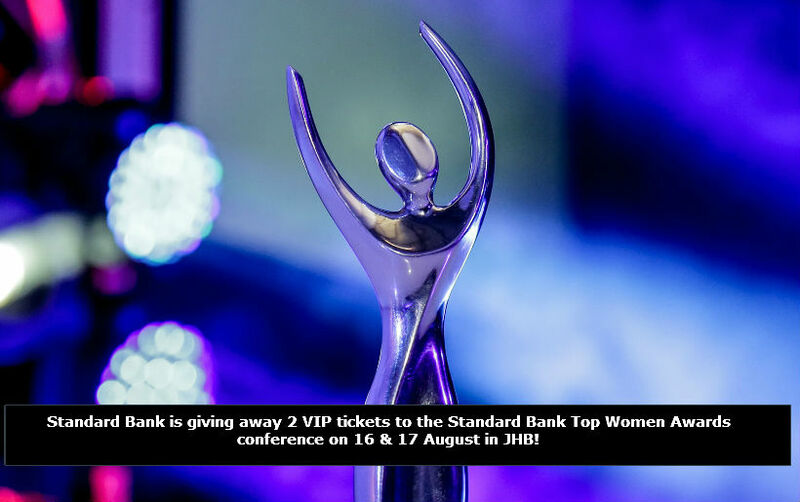 Standard Bank is giving away an all-access pass to the Standard Bank Top Women Awards conference on 16 & 17 August in JHB! SMS the keyword 'AWARDS', your full name, email address and city to 33650. 1.1. The Afternoon Express Top Women Awards – Gala Event Competition (Competition) will be run by Cardova Trading (Pty) Ltd in association with Topco Media (Pty) Ltd. (collectively the organisers/we/us/our). Entries for the Competition will open at 16h00 on Monday 31 July 2017 and will close at 17h00 on Thursday, 10 August 2017 (Competition Period). 4.1. SMS the keyword "AWARDS" followed by your email address to 33650 within the Competition Period. 5.1. We will randomly draw 2 (two) people (Winners) by means of an automated system within 3 (three) days from the closing date of the Competition. 5.2. We will contact each Winner within 3 (three) days from the prize draw on the cell phone number from which the entry was sent. If the Winner is not contactable within 3 (three) days from the prize draw, and after we have made at least 3 (three) attempts to contact the Winner, that Winner will forfeit the prize and we shall have the right to select a different Winner on the same conditions except that we will only be required to make 1 (one) attempt to contact each further Winner drawn. 6.2. The Prize excludes all items not mentioned in clause 6.1 and may differ from images or items used in marketing material for the Competition. Without limiting the generality of the aforegoing, the Prize does not include any travel or accommodation. 7.3. We reserve the right to amend these terms and conditions during the Competition Period should it be deemed necessary on our sole and unfettered discretion. 7.7. We will need to process your personal information to validate your entry as well as to contact you for marketing purposes and, if you are a Winner, to make the Prize available to you. By entering this Competition, you specifically and expressly consent to us processing your personal information for these purposes and to contact you for marketing purposes.